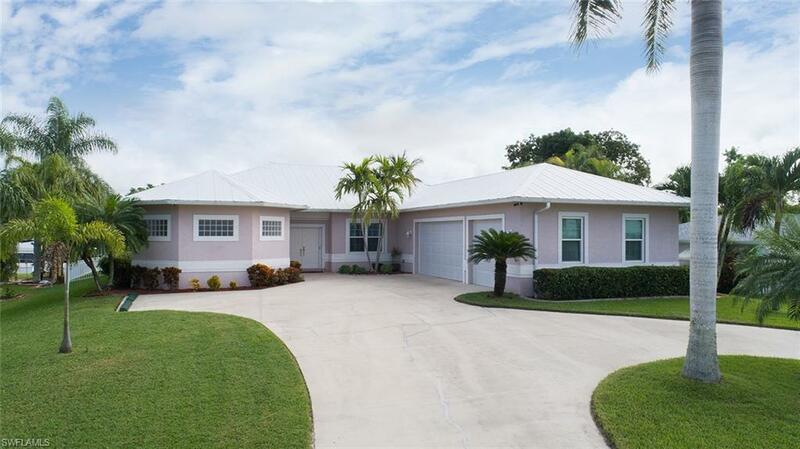 2144 Aruba Ave, Fort Myers, FL.| MLS# 218077806 | Southwest Florida Residential Real Estate for Sale. Deep Water Gulf Access!!! This home is a boaterâs dream with an 84' lighted dock including 100 amp service & fresh water supply. It is a custom design with an open floor plan, over-sized master suite, walk-thru shower, large guest bedrooms and spacious lanai. There is plenty of room for toys, storage or a workshop in the 3-car garage with easy access to a large attic. This home satisfies the most discerning buyers when it comes to safety and energy efficiency. It was built to exceed 2002 hurricane code, is heavily insulted, has 3 electric attic vents, and a hard-wired video security system. Buyers will also benefit from the fenced back yard and integrated sound system.